For both he that sanctifieth and they who are sanctified are all of one: for which cause he is not ashamed to call them brethren. Hebrews 2:11. 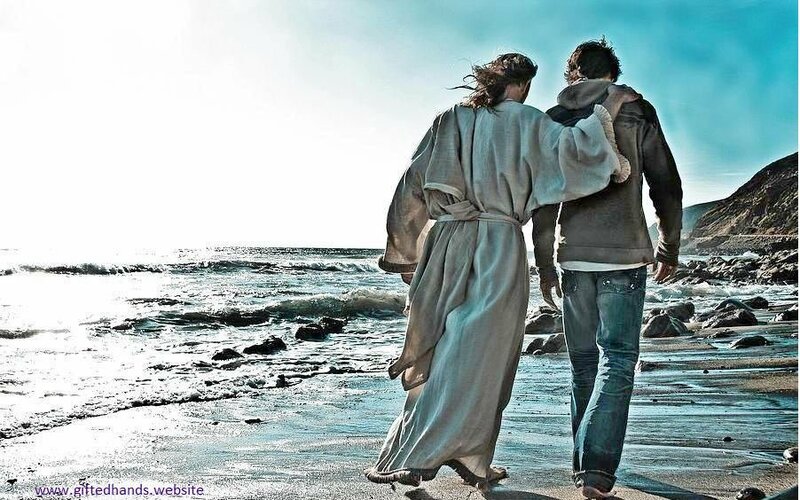 While with penitence and humble trust we meditate upon Jesus, whom our sins have pierced and our sorrows have burdened, we may learn to walk in His footsteps. By beholding Him we become changed into His divine likeness. And when this work is wrought in us, we shall claim no righteousness of our own, but shall exalt Jesus Christ, while we hang our helpless souls upon His merits. Our Saviour ever condemned self-righteousness. He taught His disciples that the highest type of religion is that which manifests itself in a quiet, unobtrusive manner. He cautioned them to perform their deeds of charity quietly; not for display, not to be praised or honored of men, but for the glory of God, expecting their reward hereafter. If they should perform good deeds to be lauded by men, no reward would be given them by their Father in heaven. The followers of Christ were instructed not to pray for the purpose of being heard of men. “But thou, when thou prayest, enter into thy closet, and when thou hast shut thy door, pray to thy Father which is in secret, and thy Father which seeth in secret shall reward thee openly” (Matthew 6:6). Such expressions as this from the lips of Christ show that He did not regard with approval that kind of piety so prevalent among the Pharisees. His teachings upon the mount show that deeds of benevolence assume a noble form and acts of religious worship shed a most precious fragrance when performed in an unpretending manner, in penitence and humility. The pure motive sanctifies the act. True sanctification is an entire conformity to the will of God. Rebellious thoughts and feelings are overcome, and the voice of Jesus awakens a new life, which pervades the entire being. Those who are truly sanctified will not set up their own opinion as a standard of right and wrong…. True sanctification is a daily work, continuing as long as life shall last. Those who are battling with daily temptations, overcoming their own sinful tendencies, and seeking for holiness of heart and life, make no boastful claims of holiness. They are hungering and thirsting for righteousness. Sin appears to them exceedingly sinful…. The truly righteous, who sincerely love and fear God, wear the robe of Christ’s righteousness in prosperity and adversity alike.—The Sanctified Life, 8-11.